Heavy duty laminate door lockers. 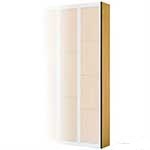 The door is normally the part that gets the most punishment so we have replaced them with one made from laminate which fits neatly inside the locker frame and opens a full 180 degrees. 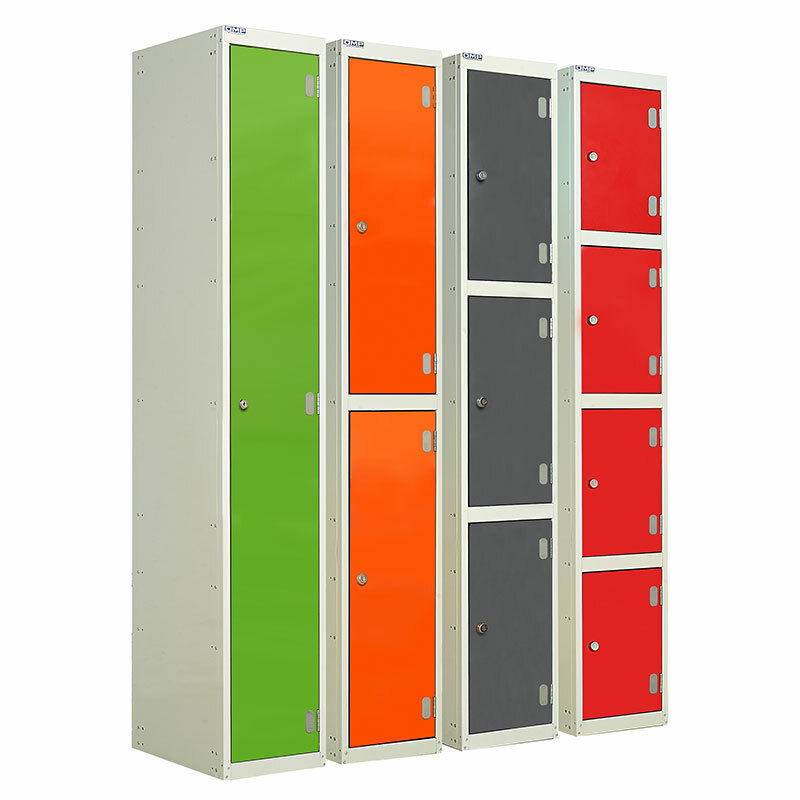 For durability, colour, and locker door configuration, nothing beats the Wet Area Laminate Lockers. 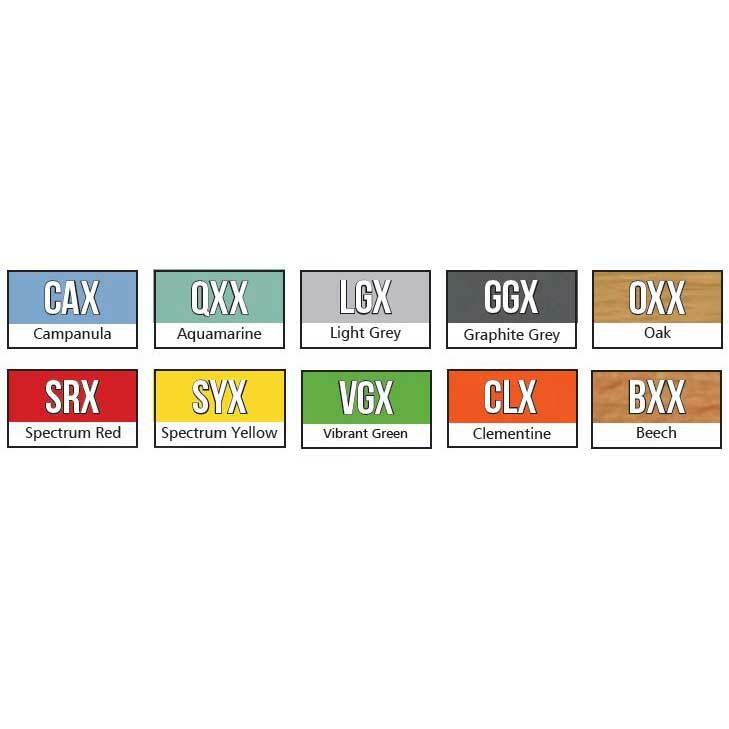 Designed to work perfectly in areas such as swimming pool changing rooms or other areas where moisture and/or warmth linger, these laminate lockers are painted with Germ Guard active technology to help reduce the spread of E-Coli and the MRSA Super Bug. The solid laminate doors will not rust and continue to look good over long periods of time and with continued used. 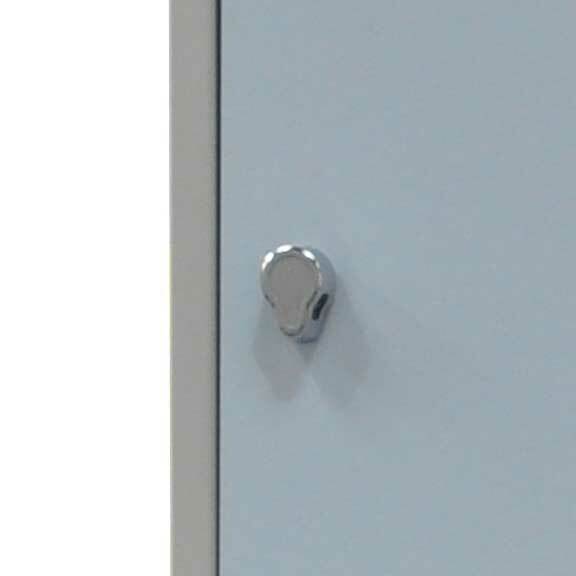 The door opens a full 180 degrees and comes equipped with a moisture-resistant camlock for additional security. The locker carcass is made from sturdy galvanised steel in a light grey colour that blends with almost any background. 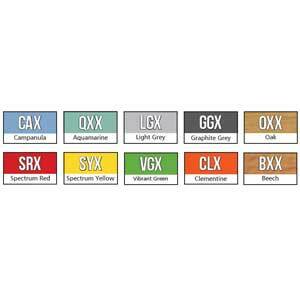 Laminate locker end panels are also available to complete the look with a stylish, finished appearance. 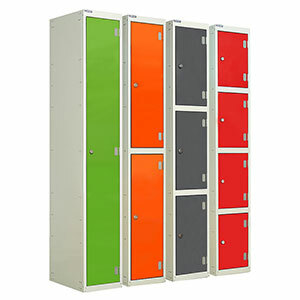 The lockers are available in 1, 2, 3, and 4 door configuration with a security shelf fitted to the 2, 3 and 4 door lockers, restricting access to the compartment below for additional security.